Setting the mesh on your RC vehicle is the one chore you can't get around. 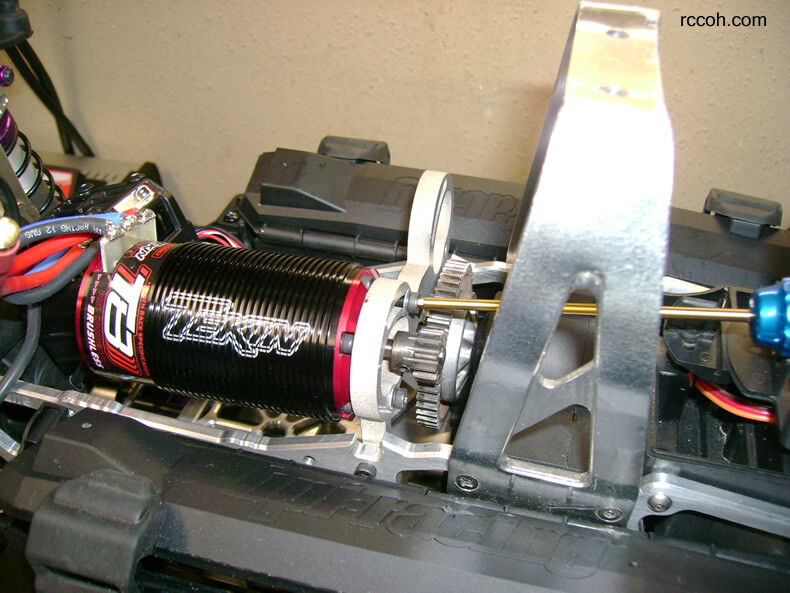 Almost all land based RC vehicles use a spur and pinion, or spur and clutchbell and you have to learn How To set the mesh on them or you will be stripping or burning out gears at a rapid pace. It's a very simple thing to do. I and many other can do it by hand and feel now, but starting out you are never so sure. Too tight and you'll melt something, too loose and they will strip quickly under power. We'll use the paper trick here because it's simple and a great way to get everything set properly. The first thing you need to do is loosen the motor. 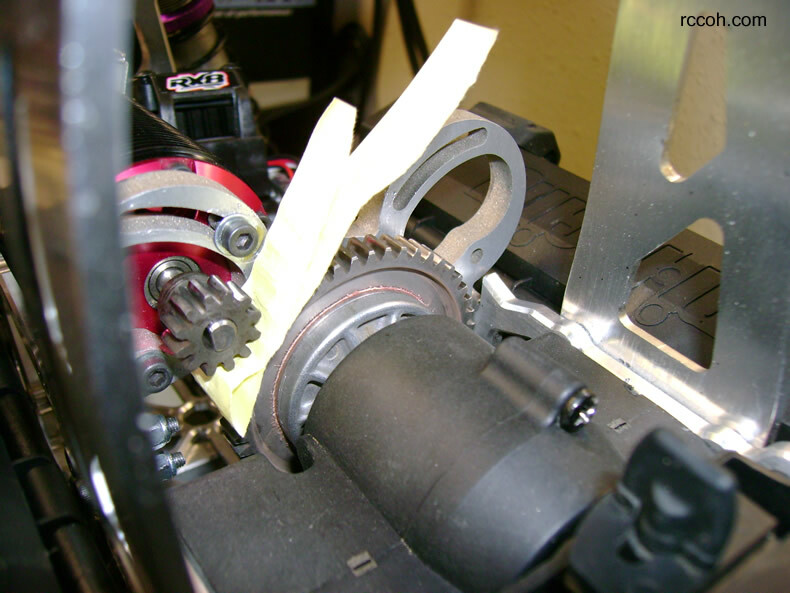 Next, slide a strip of paper between the gears you are setting. For 48 pitch I use one strip, but for the larger 32 pitch gears I use two strips. 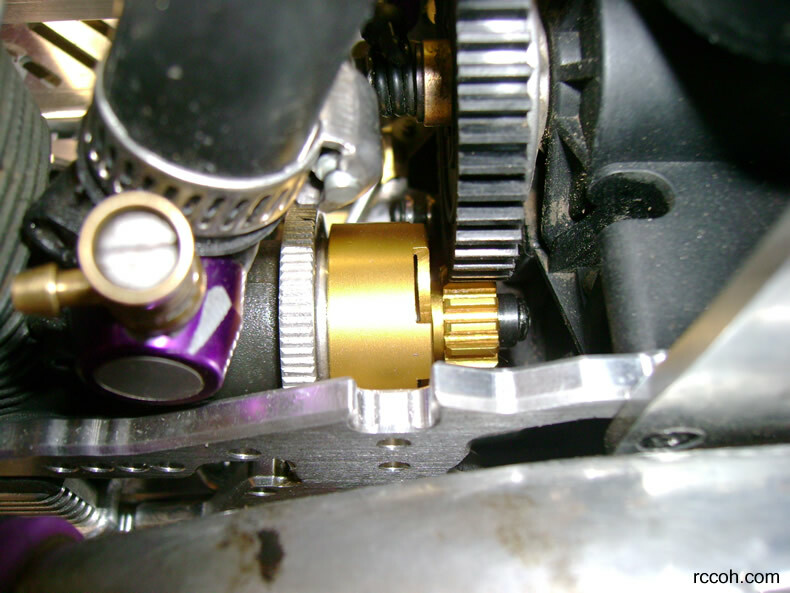 Press the motor firmly with the paper between the gears. On a nitro you might have 4 screws so you need to make sure that you are lining all of them up correctly. You don't want your engine at an angle. For electric you normally just have 2 screws that you need to tighten down. Once they are tight you can pull the paper out and you should have a good mesh. 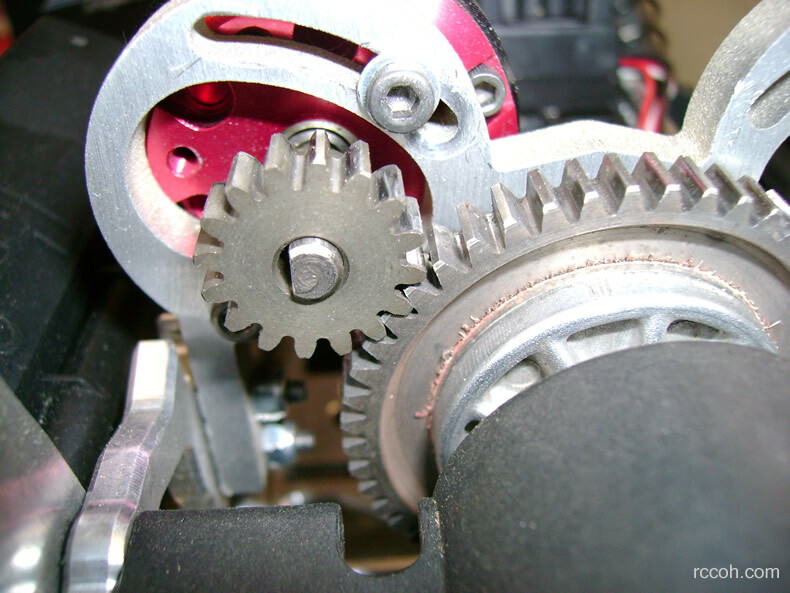 Check the mesh by moving the spur gear. It should move some. If it does not, it's too tight, if it moves a lot and the teeth are barely catching, it's too loose. You can see from the images above there is space between the gears. Also no pinion or spur is ever 100% round, so spin the gears around while checking the mesh on all teeth. That's it! Properly set gears should last forever. When you are paying upwards of $50 for a hardened 32 pitch pinion and spur set, you want to get it right the first time.